Voices From Our Dark Past, Why? Our magnificent Black History, sisters, and brothers, must never, ever, become our black community’s black mystery. 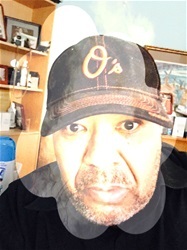 Our ancestors of color have lived through centuries of racial barriers and hardened obstacles of oppressive hatred; which means we are obligated as today and tomorrow’s people of color to learn about those ancestral experiences. We then must internalize those experiences and learn within ourselves to reach those pinnacles we seek in the course of individual growth. Otherwise, we fail each one of our black ancestors who sacrificed everything in their lives to gain a better life for us of us. It is a grave injustice to them for each of us not to aspire for anything other than seeking personal achievement. For every step forward there beams a light on those who moved solely on the hopes and aspirations of past generations. Then that same lights creates a pathway for this and future generations to follow. This pathway secures better tomorrows for all those on the road black consciousness. It should never be viewed as a task to learn and absorb our magnificent black history. It is indeed an honor that will be rewarded by all that learned knowledge leading towards maximizing our individual growth. That my friends are our responsibility and we can never shriek from the awesomeness of attaining a true historical understanding of our dark yesterday’s. We should always seek to discover the historical lights on the road to a brighter tomorrow. Today, I remember the sacrifice of those 4 little black girls who woke that Sunday in 1963, not seeking to be our black community’s martyrs but simply 4 little girls seeking to eventually become young women, young wives, and young mothers. All of those aspirations were snatched from each of those poor souls in a blink of a moment of racial hatred. 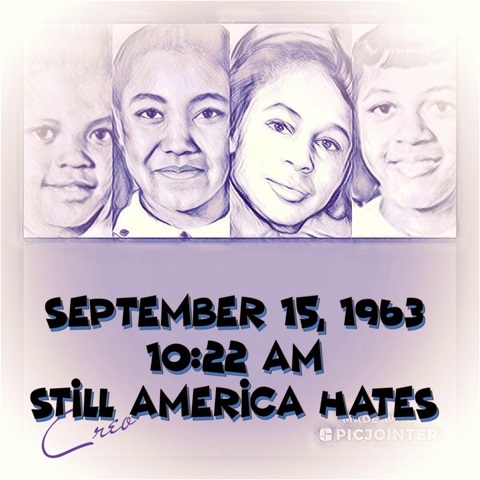 So 55 years later my prayers this morning go out to Addie, Carole, Cynthia, Denise whose lives were tragically snuffed out in a church in Birmingham, Alabama. Yet as Martin Luther King reflected 55 years ago, still in America the most segregated time and the place is still 11:00 am at the sanctuary that should spread only love but some sanctuaries still advocate racial confusion and disruption. Our black history should always be celebrated even if that history is covered in innocent blood. Because each unjust act not forgotten ensures hopefully that the unjust act is never again repeated.